I couldn’t take my eyes off her hairline. As I watched “The Iron Lady”, a disjointed yet disturbing movie, starring Meryl Streep, I became mesmerized by her head. 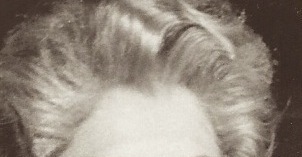 First it was the hairline that attached a massive Eighties’ hairdo to a massive forehead. As I watched the flic, the head got larger and larger like Helena Bonham Carter’s head as the Red Queen in “Alice in Wonderland”. But this wasn’t a Tim Burton movie or a Chris Nolan “get into your head” kind of movie. The disjointedness may not have been intentional. I’ve got to admit I was not a fan of Thatcher before and this movie sure didn’t change my mind. Never liked her idea that “There is no such thing as society. There are individual men and women, and there are families.” Really? No such thing as a group of people bound together for a common purpose of, say, finding food? No such thing as people coming together to fight a marauder? No “we the people” forming a society or a union to have a voice in what happens to them? And no neighbors. They are just the people next door. It could be that it’s not the filmmakers’ fault or the incredibly skilled mesmerizing Meryl who are at fault for this mixed up and bland movie. Could be that this Margaret is just…well…shallow and, yes, well… pretty bland. Nothing there so move along. She’s just another politician with a rigid hairdo. The Eighties were ruled by her and her American counterpoint, Ronald Reagan. Maybe not so coincidentally, Ronnie and Nancy too had large and perfect hairdos. They preached a “free market”, but their hair sure wasn’t free. It symbolized the reality. That the free market was a rigid religion and not an economic theory. And Thatcher and the Reagans were the big chiefs put in place by the high priests of said theory. Also, not so coincidentally perhaps, the Labour leader who challenged Thatcherism had creamy white waving locks. But the hair sprayed helmet beat him and his lovely hair down with her triumph in the Falklands War. *Yes, the helmet whupped those pesky Latins and saved some **small rocky isles off Argentina’s coast. Yes, the helmet along with her naval commanders (with far too much gold drapery tassels on their uniforms) rode triumphantly through London to cheering crazy crowds. This gave her the power then to whup those nasty union workers. But then how could there be any sense of camaraderie for Margaret? For all her harping on family, she didn’t have one. Because, Margaret, you can’t really have a “family” without the notion of the social. Family is not just people living together in a house. Perhaps that is where the filmmakers got it right. Her family consists of a ghost, a distant son, and a daughter treated like a servant. So in her small bubble there is nothing social. So she figures there is no such thing at all. But the National Union of Mine Workers that she attacked with a vengeance was that very idea of family that she supposedly believed in. So it’s just a little ironic that she chose to destroy it. What a heartless and yet clueless woman. Each year, it seems, we get a movie about a politician, king, queen, or dictator. And each year an actor gets a nod for playing a head… a head of state. And each year I say, “Who cares?” These are mostly selfish, shallow and often mean- spirited people who create or enable havoc and war. Why do we keep giving them any kind of attention? More “Full Monty” please. More tousled hair and please bring on the bangs. Well, Cowboy Clay didn’t give them any attention. He didn’t like “King’s Speech” last year and he didn’t make it through ten minutes of “The Iron Lady”. “Not interested”, he said. We have ceased to be a nation in retreat. We have instead a newfound confidence-born in the economic battles at home and tested and found true 8,000 miles away. And so today, we can rejoice at our success in the Falklands and take pride in the achievement of the men and women of our task force. But we do so, not as some flickering flame which must soon be dead. No, we rejoice that Britain has rekindled that spirit which has fired her for generations past and which today has begun to burn as brightly as before. Britain found herself again in the South Atlantic and will not look back from the victory she has won. P.S. I hear there might be oil in them thar isles. This entry was posted in Flics Worth Ropin', Social Commentary, The Accidental Activist and tagged Conservatism, Free Market, Margaret Thatcher, Montanamaven, Movie reviews, The Iron Lady. Bookmark the permalink. I couldn’t even finish watching it. I found it depressing to see her as a demented old lady and then they’d transition to some odd, old flashback that made no sense. Terrible script, awful direction.